Sheet metal forming is one of the most significant manufacturing processes in industry today and is of particular importance in the automotive industry to drive advances in material technology and weight saving. 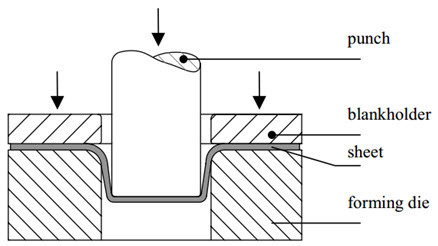 There are numerous forms of SMF including bending, stretch forming, and deep drawing. The increased competition also requires to shorten the lead times from the concept to final realization: to reduce the lead times, the application of various methods of Computer Aided Engineering (CAD/CAM/CAE and FEM techniques) are inevitable. 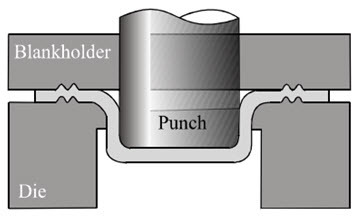 Figure 2: Schematic of the bending operation: a) free bending, b) initiating full punch and c) full punchOther types of bending operations are U-bending, roll bending and roll forming.